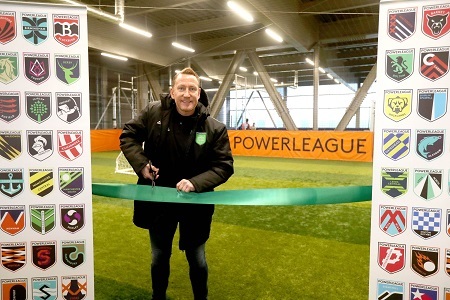 The Powerleague Nine Elms site has now opened its doors to the public. Sporting brand new five and seven-a-side side pitches with bespoke turf and on-pitch cameras, the Powerleague club also features a state of the art digital skill zone, clubhouse and rooftop views of London to enjoy as you play. On-hand to open the Nine Elms club to the public was Arsenal and England legend Ray Parlour, who met local residents for a Q&A session. Powerleague Nine Elms caters for all your football and league requirements, as well as corporate events and kids’ parties, with pitches for hire and additional games including Zorb Football, Nerf Parties and more.